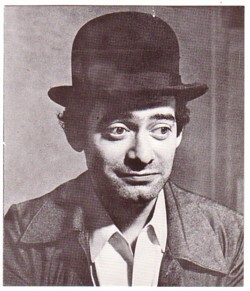 Much modern art is meaningless or incomprehensible to me, but Roland Topor is an artist whose work I can understand. Not that I know much about him. The first time I saw his work was in a little booklet that I bought because I thought it was brilliant. Every word was made unreadable with a pen, even the title and the name of the author. I had bought a whole pile of these booklets and gave them away to all my friends. When I discovered I had none left for myself, I also found out that the author was Roland Topor and that these booklets were collectors items. 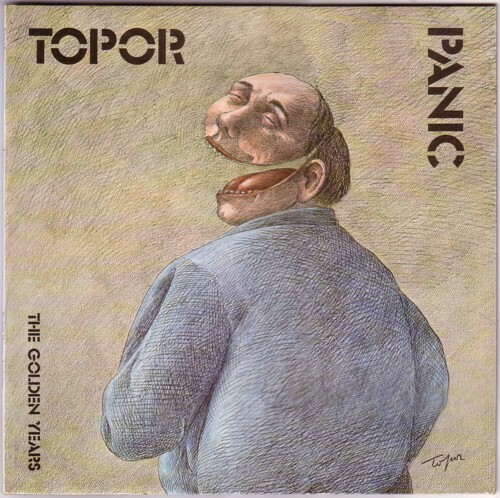 When I found this LP ( Panic ) at a second hand records store, I knew who Roland Topor was, and I also knew this was a great find. It is a record that always makes me laugh. Unfortunately you have to speak Dutch (or actually Flamish) and French to get the jokes. 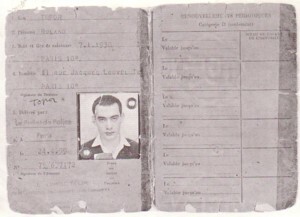 The LP was released in 1975 by the Stedelijk Museum, where Roland Topor had an exhibition of his drawings. Inside the sleeve are a few prints of these drawings and some pictures, and some information on the artwork that could be seen at the exhibition. Both sides of the LP are filled with pieces of spoken word that defy any categorisation. The are no titles, but this is a piece of side B where Roland Topor translates a speech of another guy and gets in a confusing discussion. Ik zou de LP graag willen downloaden, maar de link naar het zipbestand werkt niet meer. We hadden de plaat vroeger thuis.